So this past weekend I turned 25 (Hooray for life!). Fortunate enough to be an Ovr employee, I got to do exactly what I wanted to on my birthday… Which was to grab a crew of homies, load up the bus, and get up to Mt. Snow for a full day of riding. Of course there were a healthy amount of guests on the bus, I got them all set to go, then we strapped on our gear, and got on the mountain. Now it is no secret that the bizarre weather we’ve been having hasn’t been the best, but we did not let that deter us. 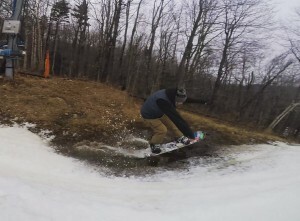 Mt Snow still has a bunch of trails open aaaand there’s always Carinthia… which is peppered with different features to mess around on like rails, some barrels, a few bonks, and even a nice funbox so there was a ton of terrain to explore. Strange weather made for unusual conditions, around 45 degrees and extremely foggy in the morning, which did clear as the day passed. The snow was mostly mashed potatoes and no ice to speak of. There was also some exposed grass and dirt that instead of avoiding, we charged right into. First lift up we cracked open some celebratory beers and then got down to shredding for the rest of the day! We all took a couple runs down Longjohn to warm up our legs. The only problem with this is that there were a ton of side hits and little booters cut into the edges of the trail which turned our warm up into a full blown session with everyone in the crew lining up to hit a 180 or tweak a grab. The best method I’ve ever done! 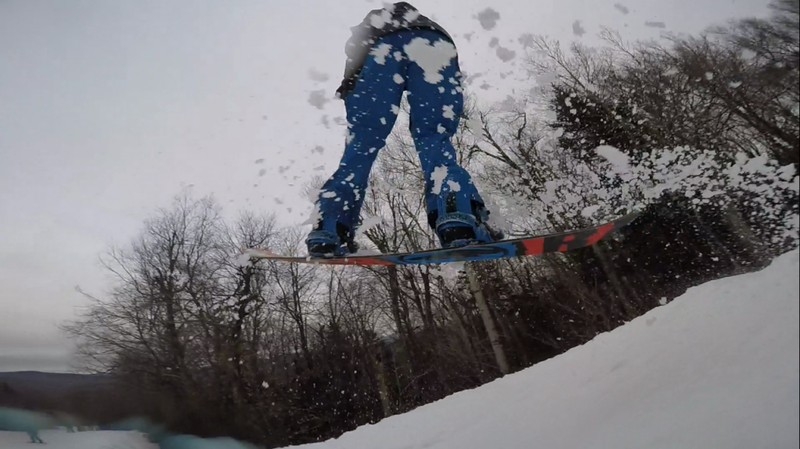 After a couple more turns down Longjohn we headed over to Carinthia and lapped the park for a while. I was pumped because I finally got over my (very legitimate) fear of hitting rails. 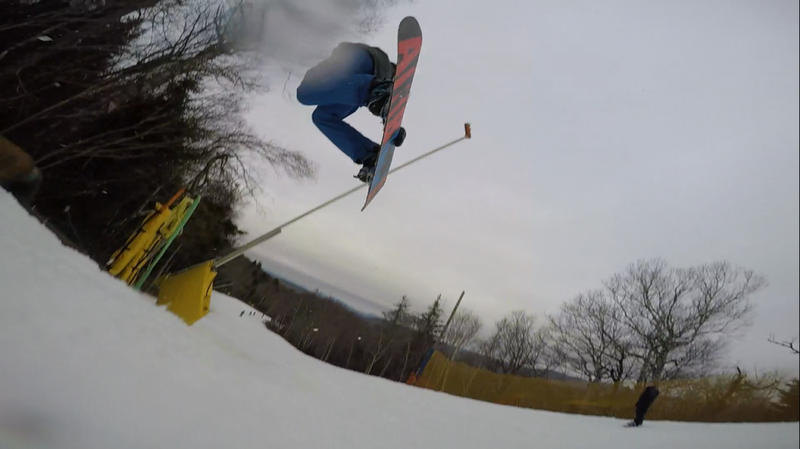 I’m a big fan of boxes, the wider flat rail, and even the fat barrel rails/pole-jams; but every skinny little rail has always terrified me… Until this past Sunday. Riding with a big crew is advantageous for many reasons, one of the biggest being the stoke factor (adult peer pressure). I was waiting in the lineup and watched five of my friends hit the rail in a row, so naturally I had to go for it, and while scary, was definitely worth it. The trick for me was speed, think about it, the less time you spend on the rail, the less time in which something could go terribly wrong. So in conclusion the faster the better. I kept with this mentality and proceeded to hit all the rails in the park! (except for one super skinny rail with a kink at the bottom that 100% got the best of me). We ended the day at the bar for one last beer before we headed to the bus for… MORE BEERS!!! As always it was an excellent time and I couldn’t have been happier with the birthday sesh! 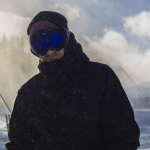 This entry was posted in Jeremy's Blog, OvRcrew, Trips. Bookmark the permalink.